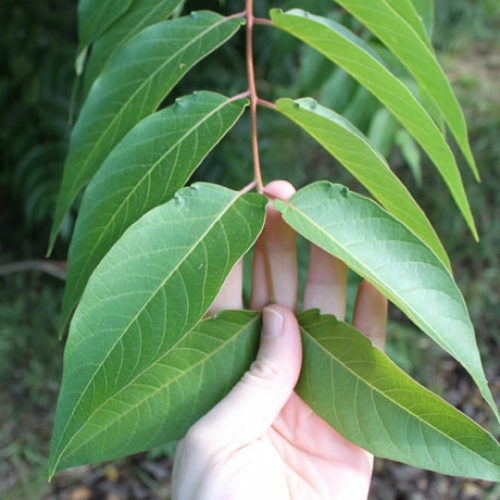 It is a deciduous tree that grows to heights of 30 to 40 feet (though sometimes larger). 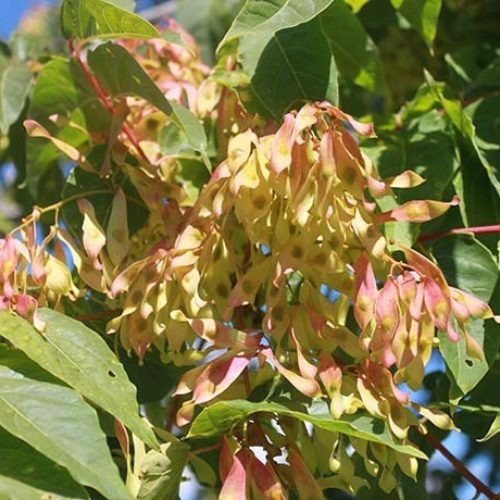 Trees have compound, alternate leaves and clusters of male or female flowers. Plant parts have a distinct peanut-butter or popcorn smell. 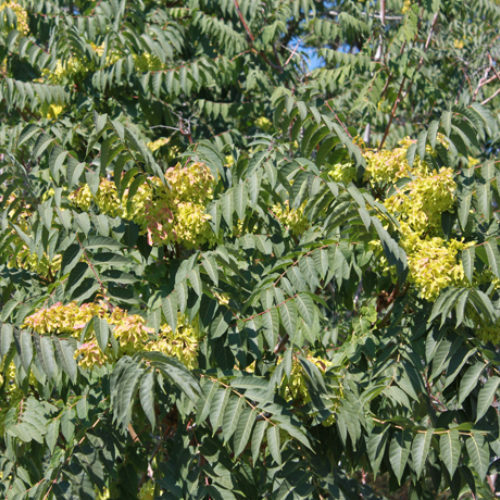 Male and female flowers are in clusters on separate trees. Clusters are terminal (at stem tips) and are larger when having male flowers. 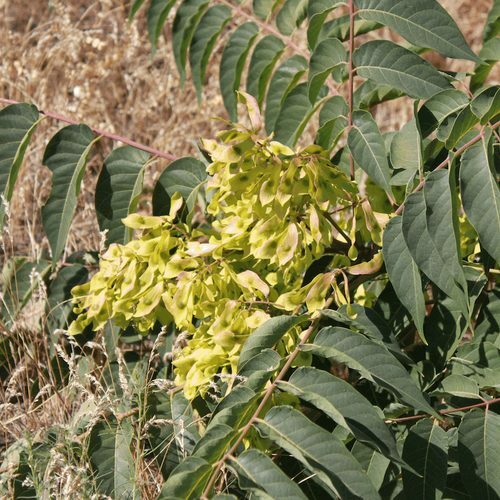 Flower clusters may be up to 12 inches wide. 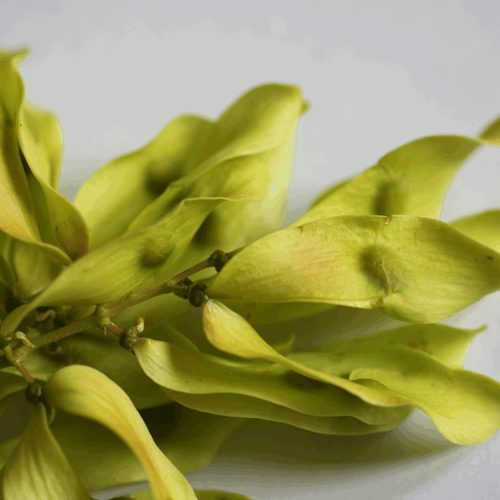 Flowers are light green to yellow and small, about 1/4 to 1/3 inch wide. 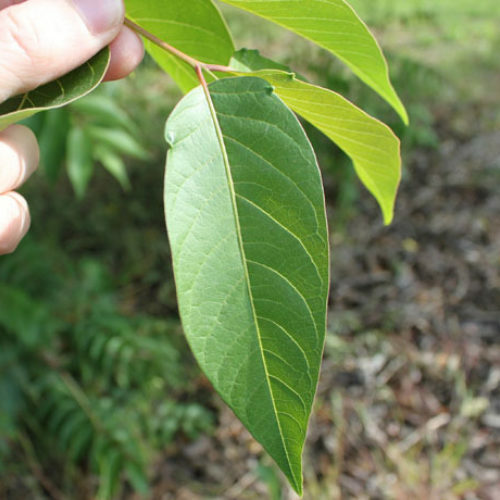 Leaves are alternate and compound, made up of 10-27 (sometime up to 45) leaflets. 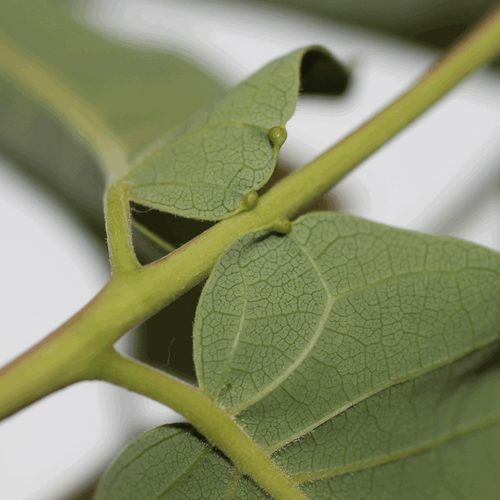 Leaflets with smooth edges except few rounded teeth at with large gland on underside. Terminal leaflets may have 1-2 enlarged lobes. Leaf petioles 2.75 to 5.1 inches long. 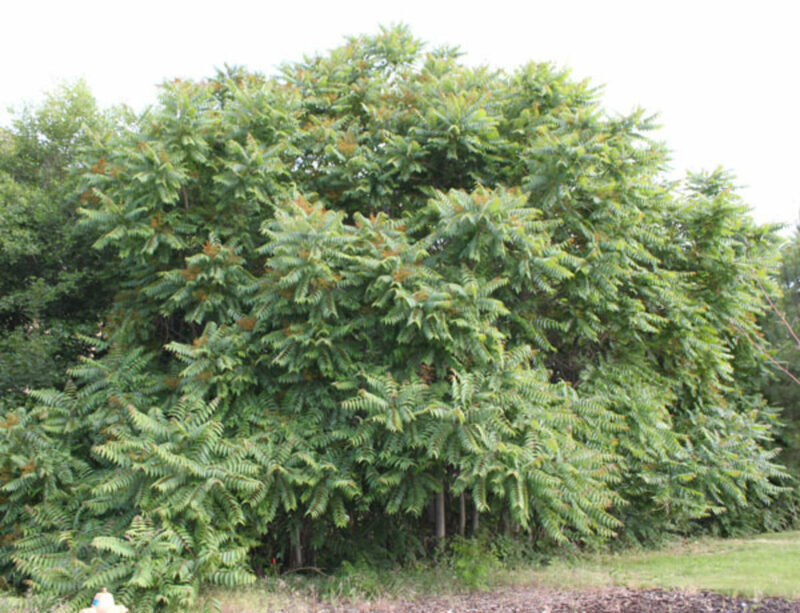 Young branches are chestnut brown to yellow-brown. Bark on older stems is smooth and gray, and can form shallow diamond-shape fissures as it ages. Fruit is a samara—a single seed, centrally placed in a papery wing that is loosely twisted. Size ranges from around 1.5 to 2 inches long by 0.4 to 0.6 inch wide. 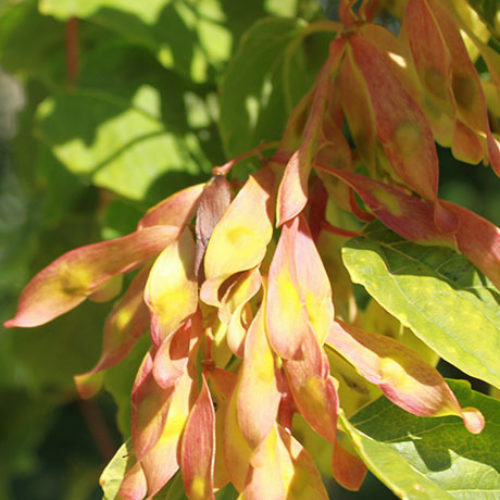 The color at maturity varies from greenish yellow to reddish brown. 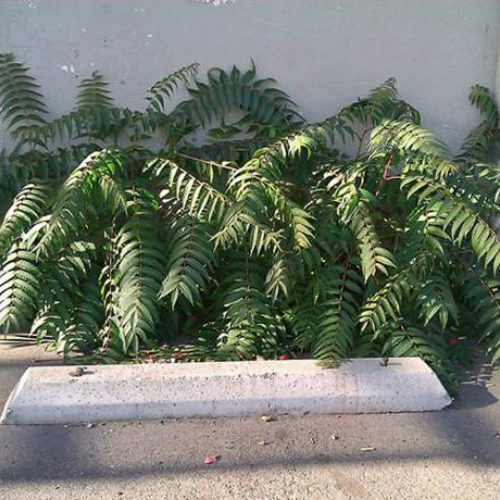 It grows in a variety of habitats. 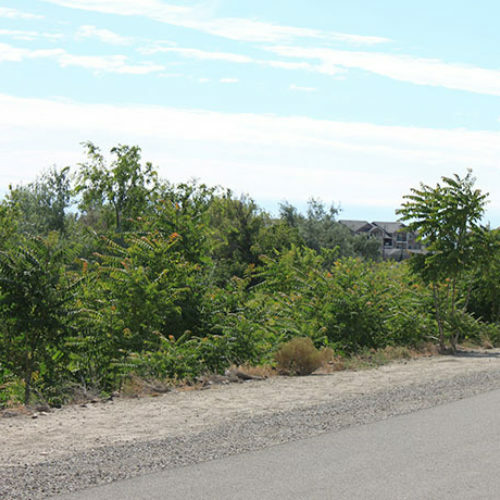 It can commonly be found along forest edges, woodlands, fence rows, roadsides, railroad embankments, old fields, and urban parks. 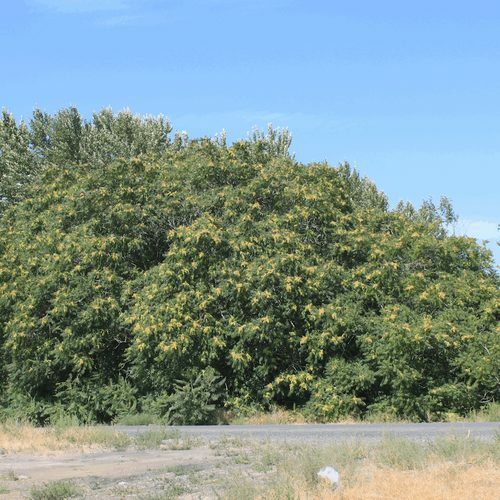 Click here to see a county level distribution map of Tree of Heaven in Washington. 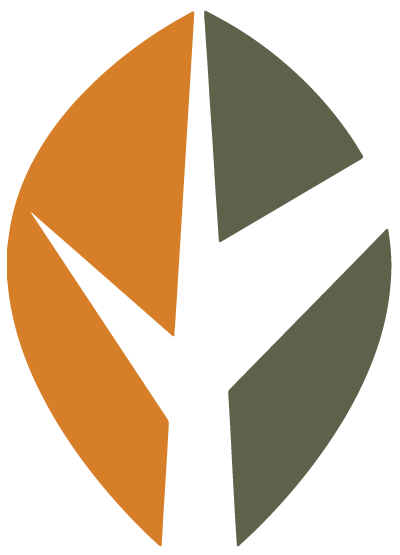 Plants can reproduce by seed as well as vegetatively by roots and stump sprouts.  Cut branches and trees can also form roots when left on moist ground. 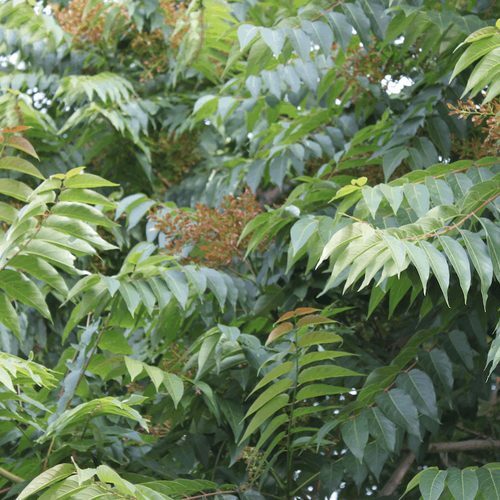 See our Written Findings for more information about tree-of-heaven (Ailanthus altissima). 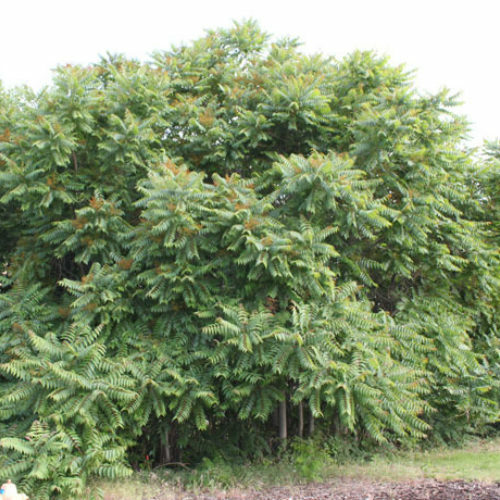 Report on tree-of-heaven from the book "Weed Control in Natural Areas in the Western United States"